This modern equipped house is located at the end of a 50-meter-long unpaved road. Leading to this unpaved road is a smooth asphalt road. 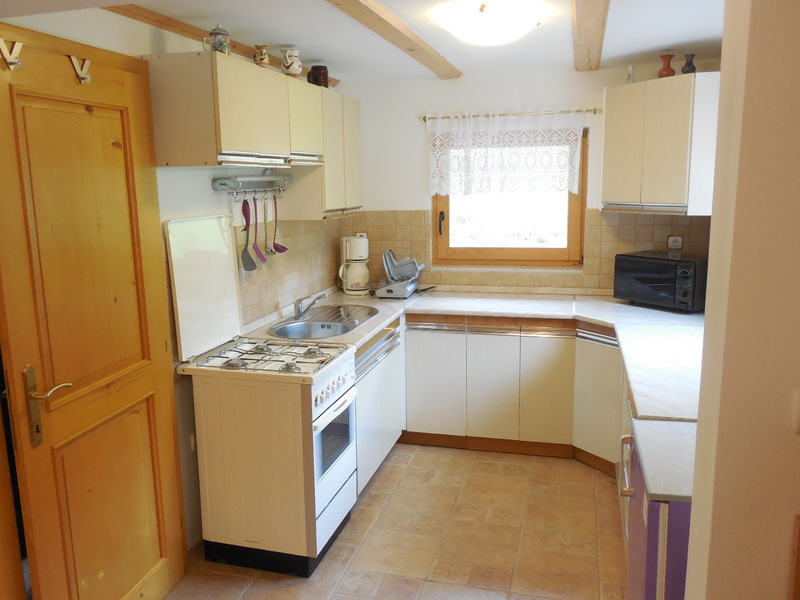 The house is located approximately 2 km away from the village, the view from the house is amazing, you see a gently sloping hillside with fruit trees where a small flock of sheep and regularly see a few deer graze as well. 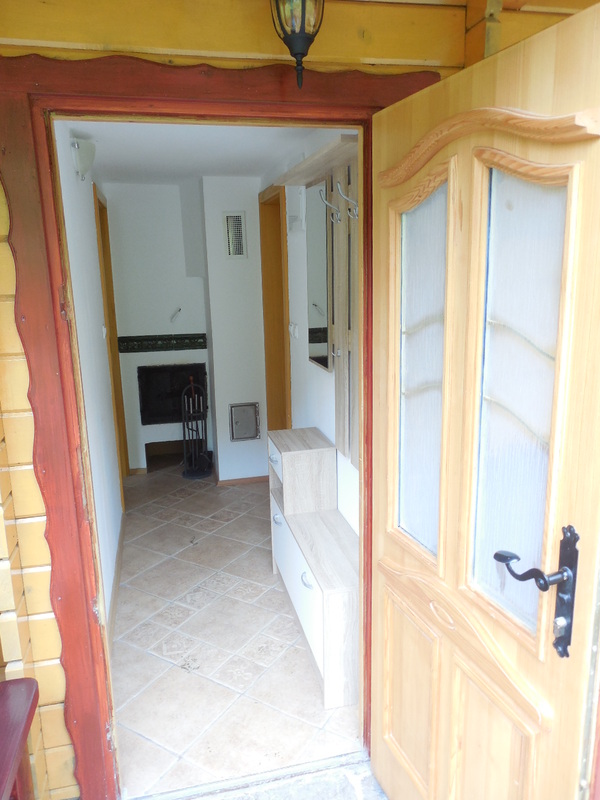 The house is made up out of a large kitchen with dining area, the open connection leads you into a living room which has a television as well as radio. The television receives only German and Austrian channels. A spiral staircase in the living room leads to the top floor where one can find two spacious bedrooms. The master bedroom has a double bed while the other bedroom has two 2 persons beds. Each bedroom has its own private balcony. 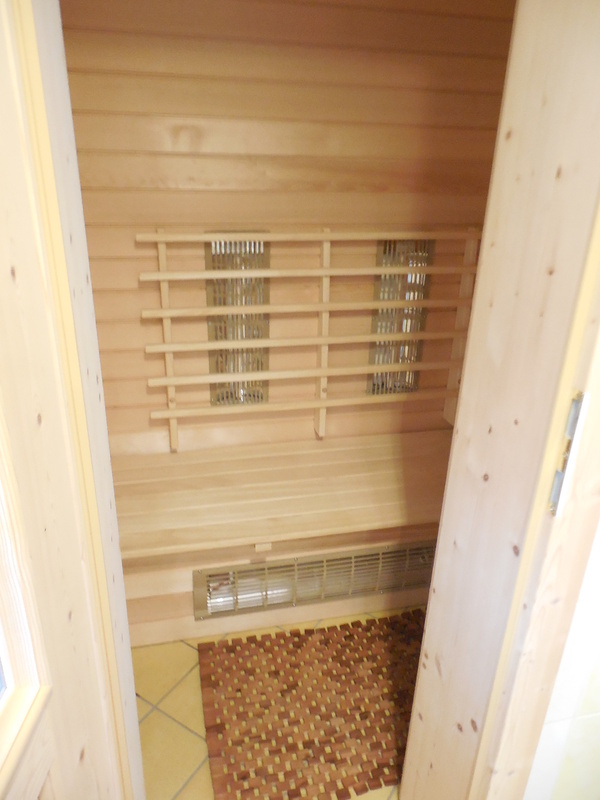 The bathroom as well as the sauna is located on the bottom floor. 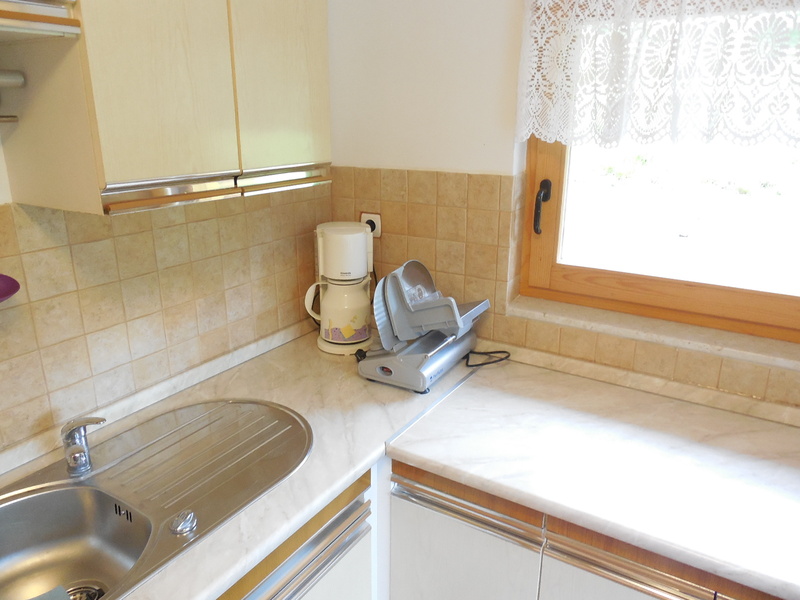 The kitchen, as can be seen in the photo gallery, is well equipped. Mobile phones have an excellent reception. Internet is present in the house . 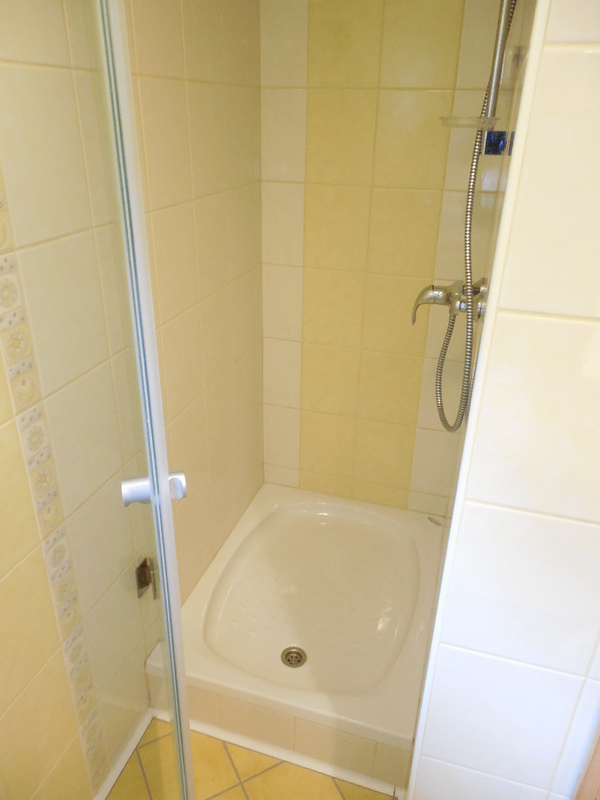 The following prices apply for an occupancy of 4 persons and include bed linen as well as bath and kitchen towels. Each additional person cost an additional €50. No pets allowed due to the sheep. At 600 meters flows the clear cool water of the river Savinja with its abundance of trout. 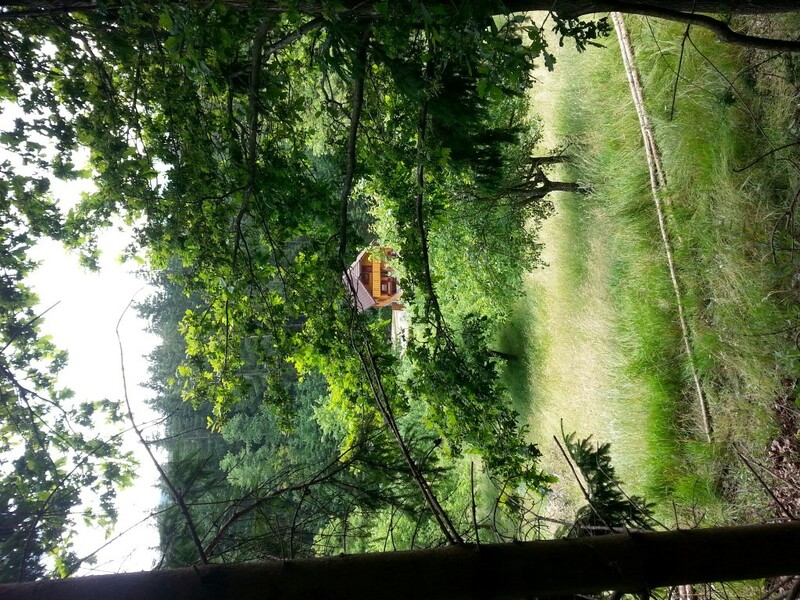 Located besides the house is a freely accessible forest which one can enter without being hindered by fences or angry owners. 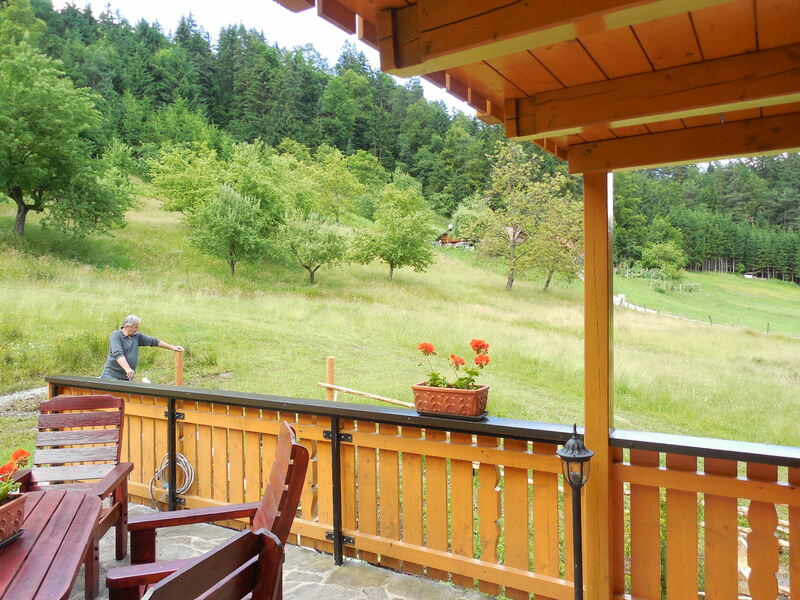 The region offers excellent cycling opportunities through the Dreta- and Savinja valley. A brochure with most beautiful bicycle routes is available in the house. Swimming, kayaking as well as rafting can be done in the Savinja river as well. Shops can be found in the surrounding villages Ljubno, Gornji Grad and Bočna. Three supermarkets are located in Mozirje which is a little further away but still in comfortable driving distance. 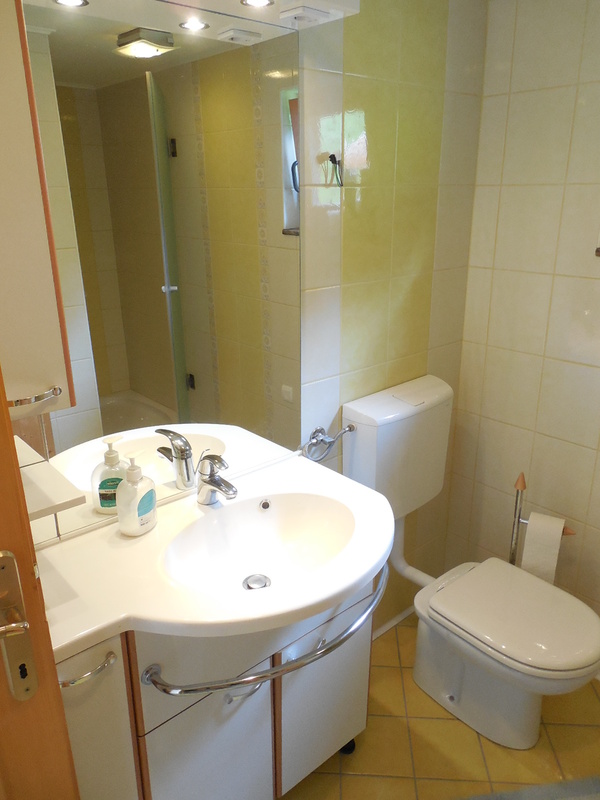 Located approximately 7 kilometers from the house is the ski center Golte with its still quiet slopes and excellent ski school. Several museums can be found in Velenje castle, located above the town. Recommended is to visit the mining museum. 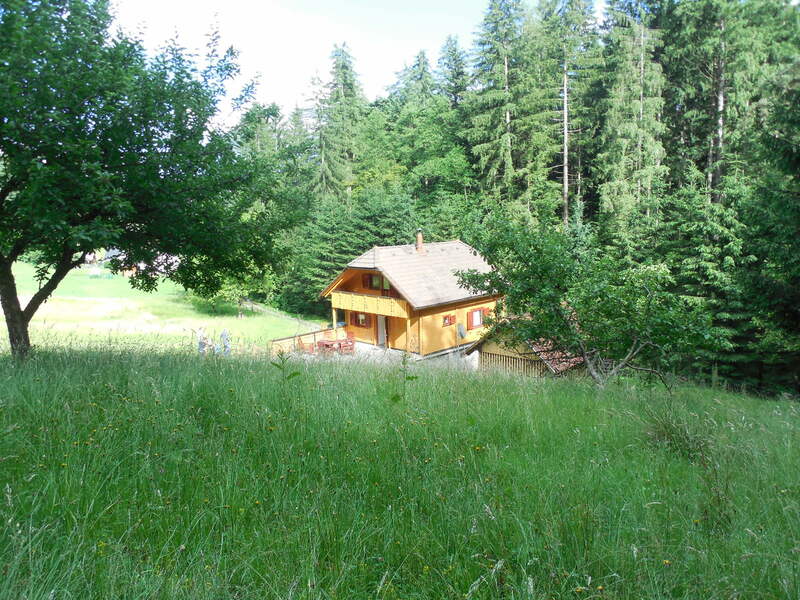 Located further down the Savinja valley you’ll find Snežna jama or ice cave as well as Logarska Dolina Nature Park. When you reach the end of the valley you are at the border crossing with Austra. If you pass the border you can drive on through Klagenfurt to visit beautiful miniature park Minimundus. Slovene tourist attractions such as Bled, Ptuj, Lipica (the home of the famous Lipizzaner horses) are approximate a one hour drive through Slovenia’s beautiful landscape. 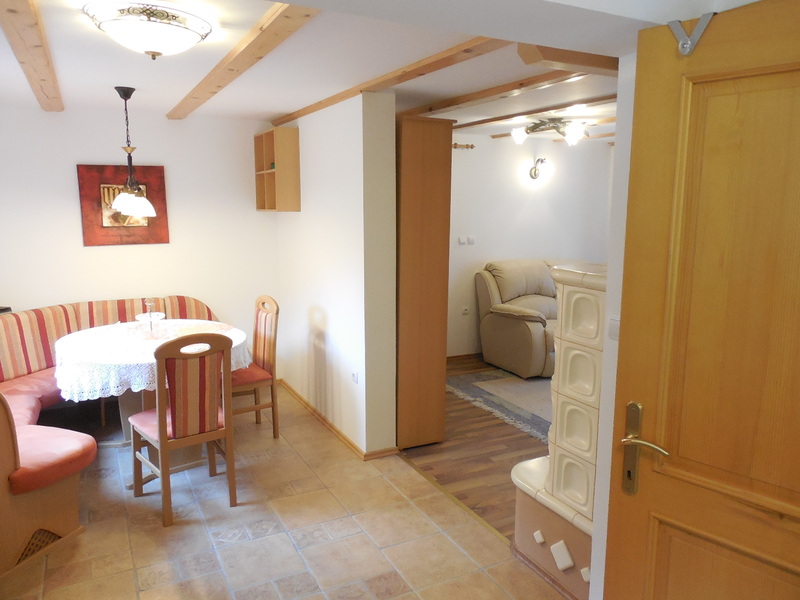 The holiday home is hidden in the quiet sunny Savinja valley, approximately 5 kilometers from the town Gornjigrad and around 2 kilometers away from the village of Ljubno ob Savinji. Both the Savinja and Dreta valley are very suitable for comfortable bike rides because they do not have very deep slopes. Bicycle routes are clearly marked. When going hiking there are two choices, one can go and hike through the mountains or have a walk on the flat portions. 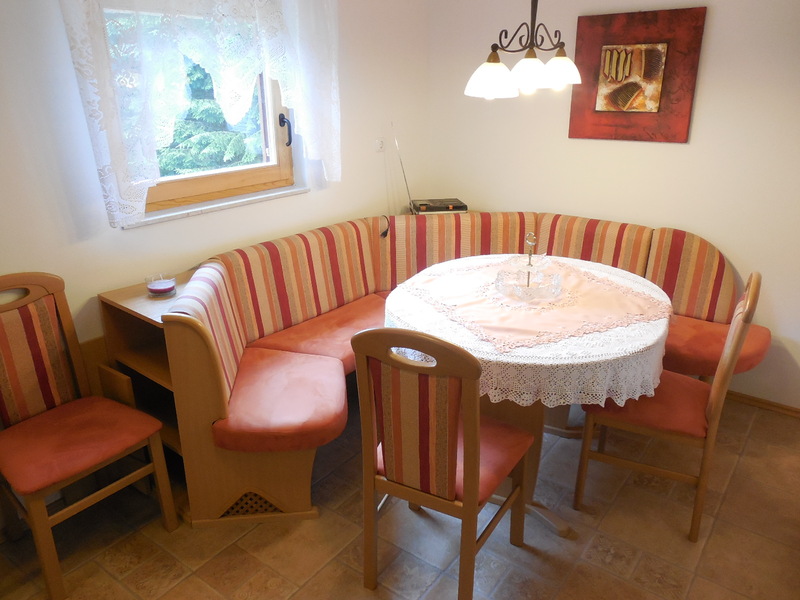 The holiday home is located between Ljubljana and Maribor, and are 60 kilometers away. Driving to these towns on the local roads will give you magnificent views of the Slovene landscape. One can find a mini-market in Gornji Grad, for 3 larger supermarkets one has to be in the town Mozirje which is a 15 minute drive away from the holiday home. The supermarkets have a wide selection of products. In the region you’ll find various Gostilna’s or pubs which offer Slovene lunches often with Balkan specialities for very fair prices (apr. €5.00 per person). 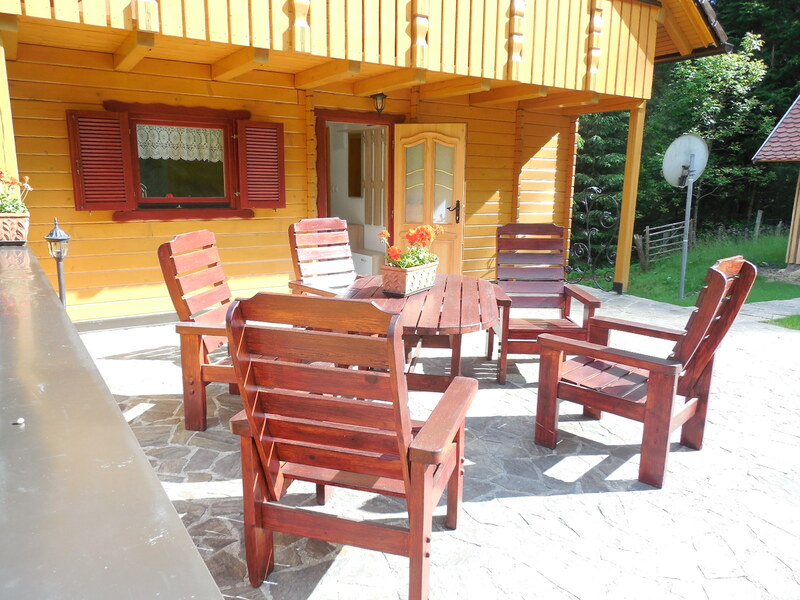 During the winter months this house is the location for winter sports enthusiasts who want to learn to skiing on Golte or do cross country skiing on the trails built in the Natural Logarska Dolina.